Rev 'em up and watch 'em ROAR! Introducing the all-new, Rev 'N Roar 1:43 scale, authentic Monster Jam trucks! Rev forward or backward and watch it go! 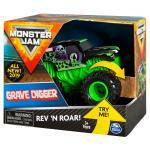 Listen to the iconic sound of Monster Jam monster trucks as your Rev 'N Roar comes to life! 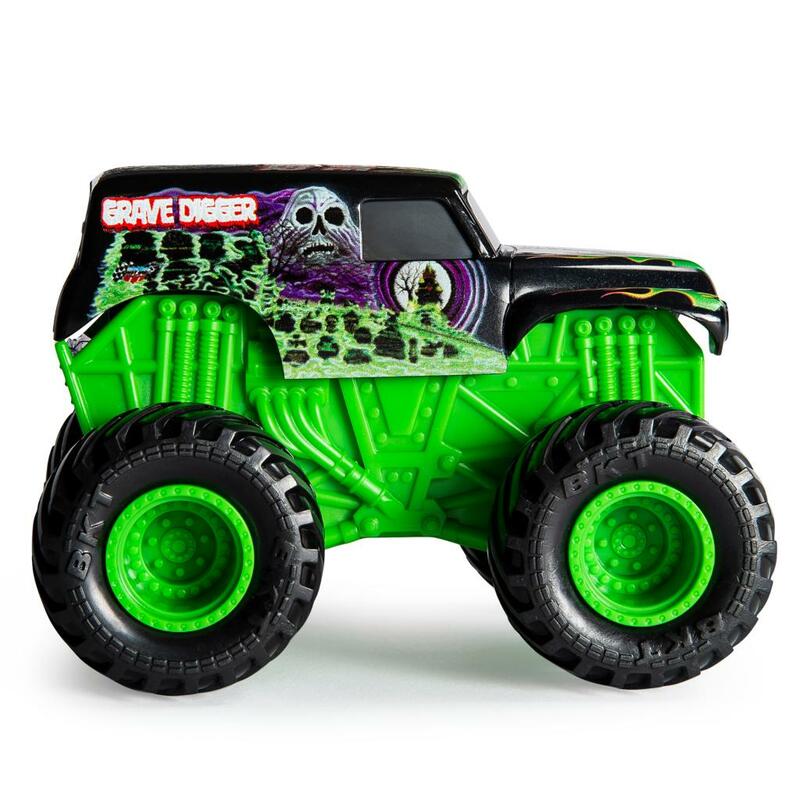 These loud machines feature 4-wheel drive, official BKT rubber tires, and tons of detail, making sure these powerful trucks can run over anything AND look good doing it! 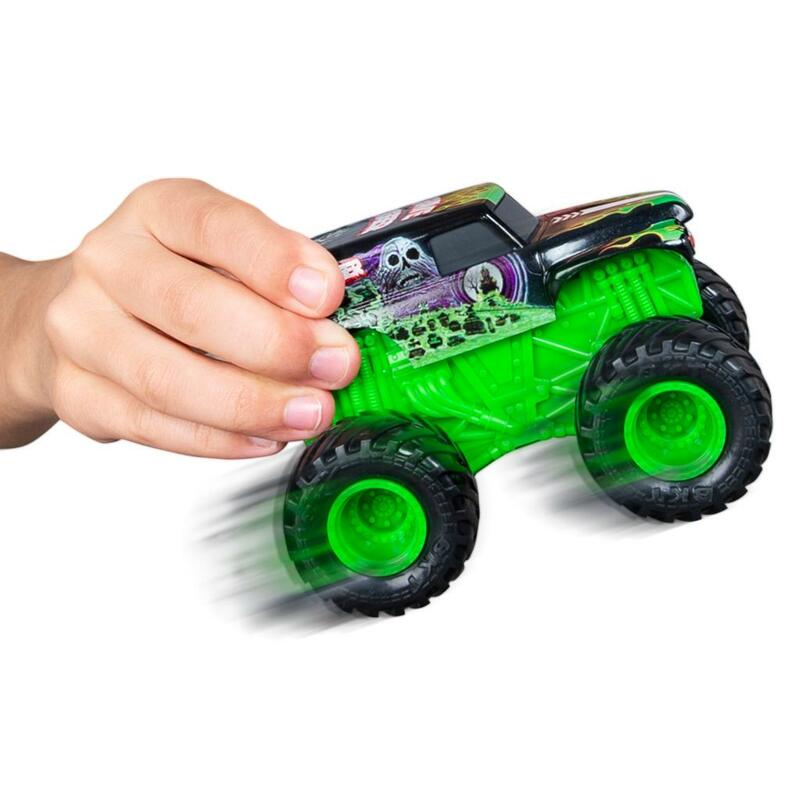 Featuring a powerful, internal driving system, these monster trucks can smash, crash, and bash like never before! 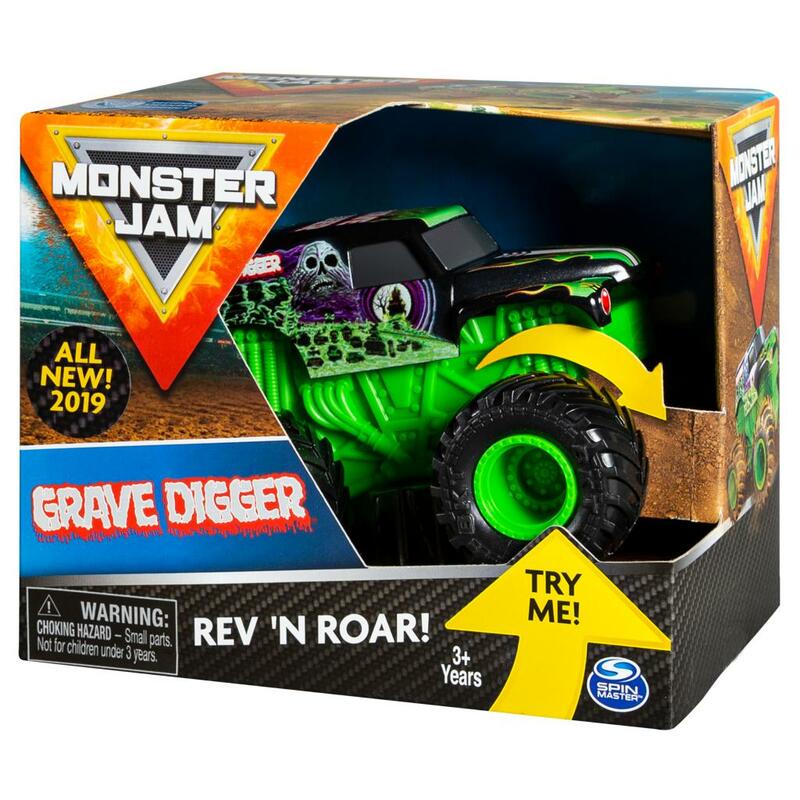 Add to your epic Monster Jam collection with the all-new, Rev 'N Roar Monster Jam truck! 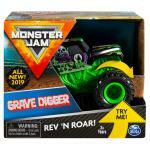 AUTHENTIC MONSTER JAM TRUCK: Rev it up & hear it ROAR! 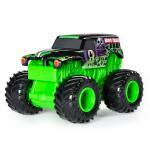 This authentic 1:43 Monster Jam truck will bring the sounds of Monster Jam to life right in your home! Rev it forward or backward & watch it go! ICONIC SOUND & ACTION: These loud & powerful monster trucks feature 4-wheel drive, official BKT rubber tires, and tons of detail. They can run over anything AND look good doing it! Collect them all! 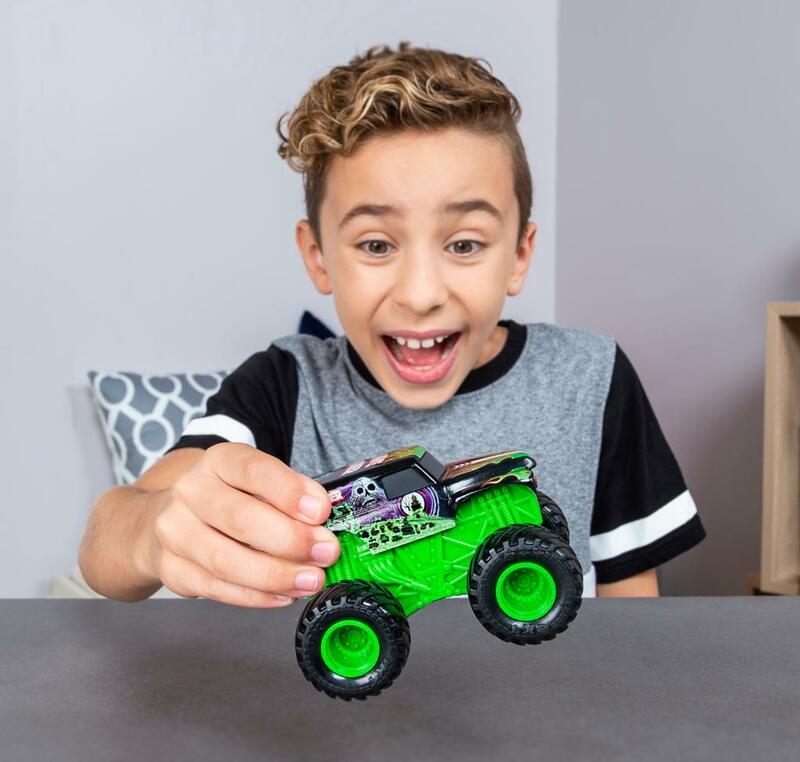 4 WHEEL DRIVE: Featuring a powerful internal driving system, these rugged monster trucks can smash, crash, and bash like never before! 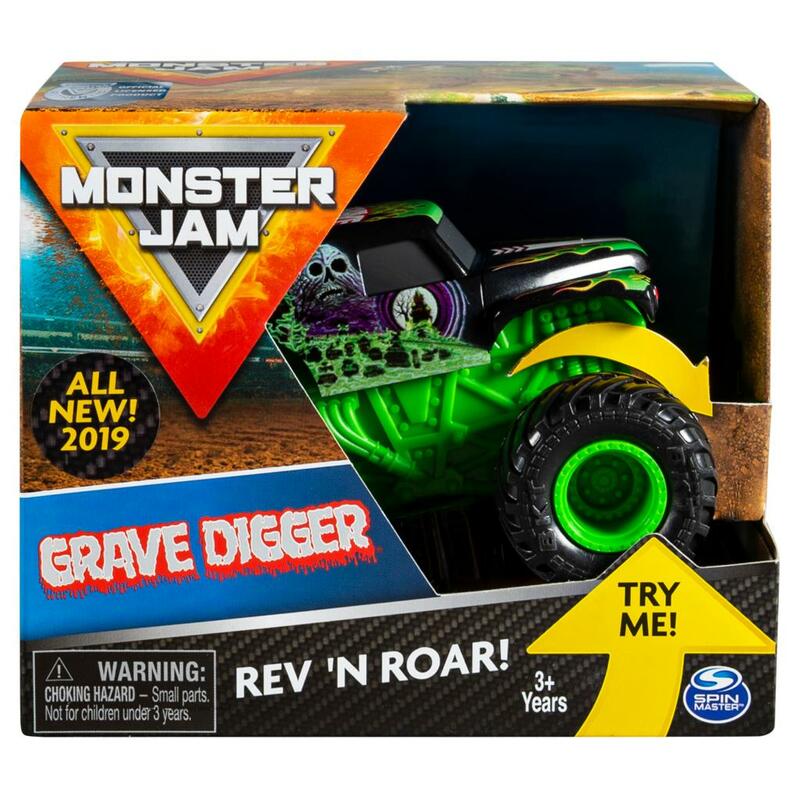 Smash your way to victory in your very own Monster Jam event!